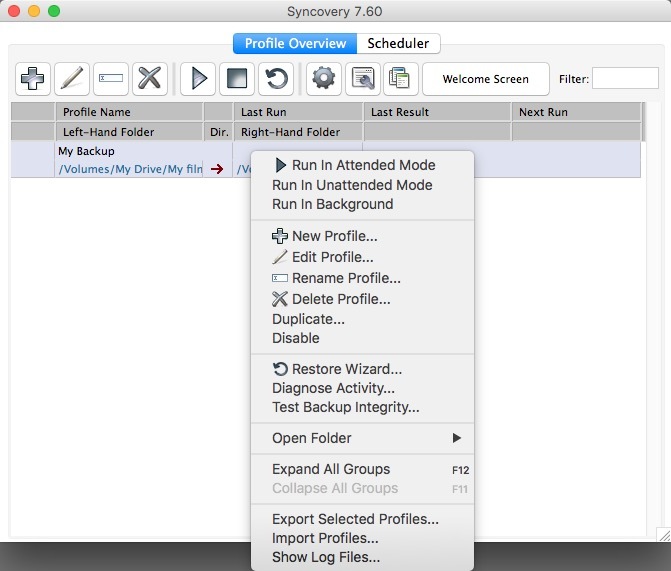 This tutorial explains how to use the software Syncovery to perform smart/incremental back ups of film projects from one master/primary hard drive to a secondary/backup hard drive. 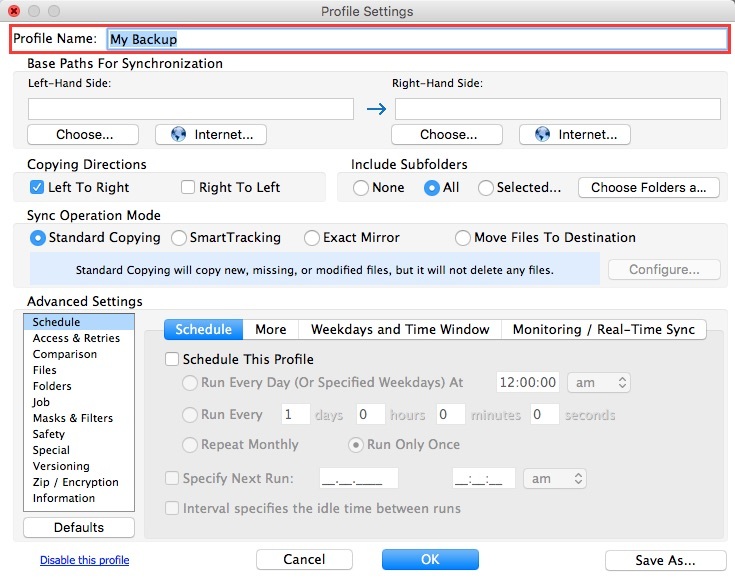 This software intelligently only copies files which are either missing or newer onto the backup drive from the primary. 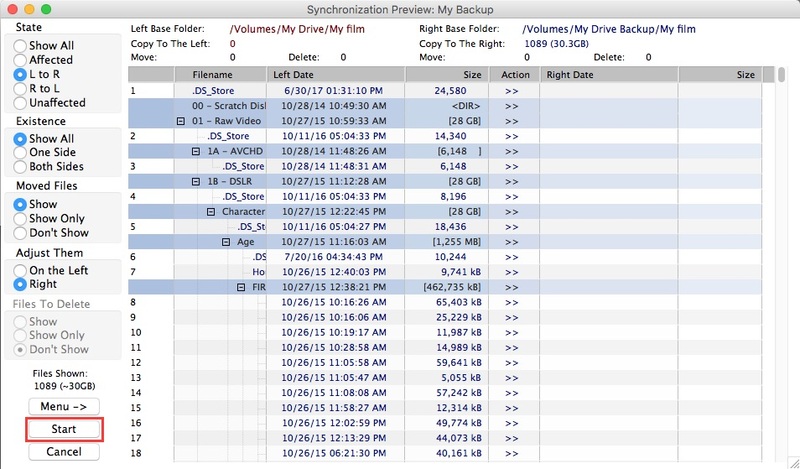 This same workflow should be followed for the initial (usually longer) backup, and any backups thereafter. Syncovery is installed on all F&DM department computers. If you would like to have the software on a personal computer, it is available on their official website for $34.90. Step 4). 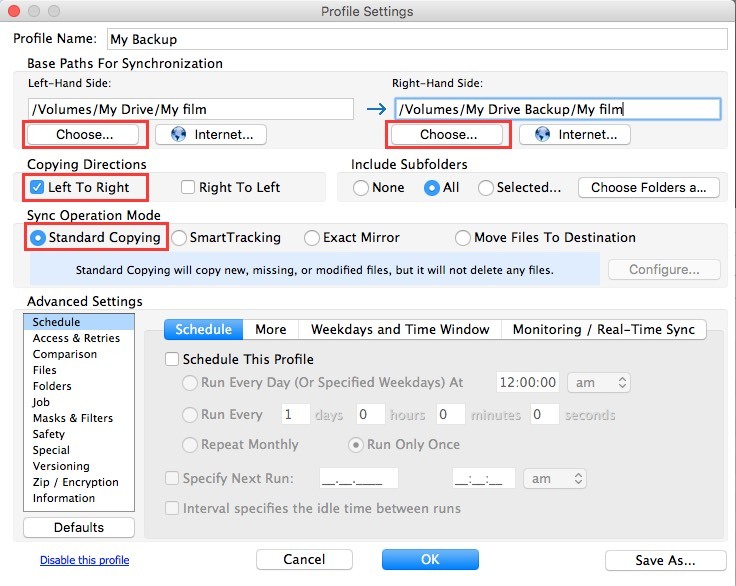 Setting up a backup involves choosing a left hand location (primary drive) and right hand location (backup drive). Click Choose on the “Left-Hand Side”, and when a new window opens, browse to the location of your film’s folder structure on the primary drive. Next, for the “Right-Hand Side”, click Choose, and this time browse to location for the film on the backup drive. Verify that the paths for the left side (primary drive) and right side (backup drive) look correct. This can be helpful in determining if any files from your primary drive have corruption. Generally, if a file won’t copy in Syncovery, it has some corruption. If you require any help please email fdmoperations@ucsc.edu for technical assistance.